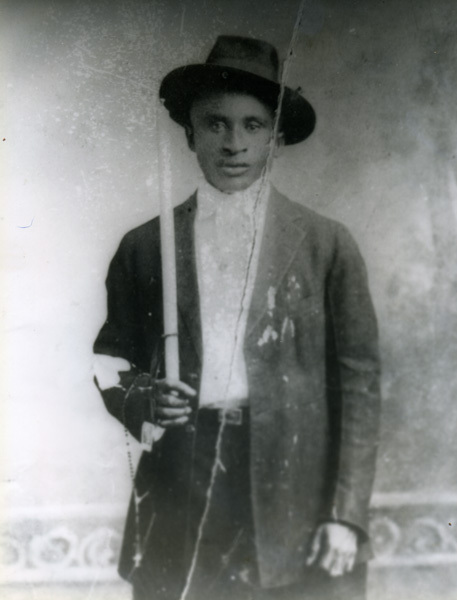 One of southern Louisiana's first great recording artists was a Creole accordionist and singer named Amede Ardoin. A black and white reproduction of a photograph of Amédé Ardoin. One of southern Louisiana’s first great recording artists was a Creole accordionist and singer named Amédé Ardoin. At the time his records appeared, between 1930 and 1934, the terms “Cajun music,” “Creole music,” and “zydeco” were not in use, and zydeco as it is heard today had yet to evolve. Accordingly, there is some debate as to how Ardoin’s music should be classified. What is clear, however, is that Ardoin’s inspired musicianship, as expressed in a seamless, soulful blend of two-steps, blues, and waltzes, played a crucial role in forging both styles. Ardoin is thought to have grown up in the countryside between Eunice and Basile, Louisiana, where many of his descendants still live. Ardoin’s family regarded him with mixed feelings because he refused to do farm work or other manual labor, instead relying on his musical performances for income. 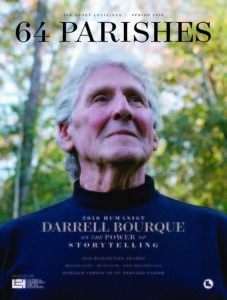 There are many tales of Ardoin hitchhiking around the unpaved roads of the prairie parishes with his accordion in a burlap sack, playing wherever he could. Many of his performances were at house parties rather than public venues. By the 1930s, the accordion had been popular in Louisiana for some sixty or seventy years. In southern Louisiana, it adapted well to a combination of European song forms and African rhythmic approaches such as swing and syncopation. Ardoin personified this cultural blend and enhanced its development through his deft technique and his ability to improvise. Ardoin was a lively, inventive accordionist who could keep a crowd dancing while playing alone. He was also a soulful singer whose emotional style made dramatic use of elongated, high-pitched notes. Some of his lyrics, such as “Les Blues de la Prison,” were based on medieval French songs, or snippets of them. Other numbers, such as “La Valse de Chantiers Petroliperes” (“The Waltz of the Oilfield Workers”) reflected the socioeconomic changes afoot in southern Louisiana as a predominately agrarian culture began to experience industrialization. Ardoin’s music was widely disseminated in southern Louisiana through a series of commercial recordings released by the Columbia label between 1930 and 1934. 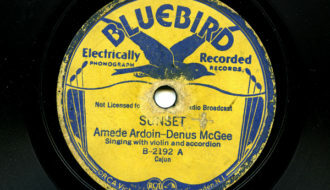 Some of these records found Ardoin accompanied by the great Cajun fiddler Dennis McGee. Such an interracial collaboration was unusual during an era when the two would almost surely have been barred from performing together in public. Ironically, a racial incident ended Ardoin’s career, around 1939, when he was severely beaten after a white woman wiped his face with her handkerchief. Mentally incapacitated from the attack, Ardoin spent the rest of his life in a state mental hospital. Ardoin’s music deeply influenced two important (and, in turn, influential) midcentury musicians: the Cajun accordionist Iry LeJeune and the Creole accordionist Clifton Chenier. Chenier forged the zydeco sound that is still heard today by blending Cajun and Creole folk aesthetics into his interpretations of mainstream African-American blues and R&B, which he sang in French. LeJeune’s high-pitched emotional singing and passionate accordion playing continue to resonate in contemporary Cajun music. 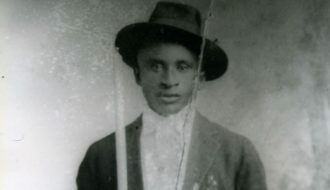 The legacy of Amédé Ardoin also resonates today through the fourth-generation activity of his descendants. His nephew, Alphonse “Bois-sec” Ardoin (1915–2007) remained active into the new millennium, while, at this writing, his great-great nephew, Chris Ardoin, leads a very popular zydeco band called NuStep. Chris Ardoin’s full, electrified band bursts with youthful enthusiasm, but it does not surpass the power of Amédé Ardoin’s unadorned recordings, which jump across the decades with their passion and urgency. Sandmel, Ben "Amédé Ardoin." In https://64parishes.org Encyclopedia of Louisiana, edited by David Johnson. Louisiana Endowment for the Humanities, 2010–. Article published April 20, 2016. https://64parishes.org/entry/amede-ardoin. Ancelet, Barry Jean. “Cajun Music.” Journal of American Folklore 107 (1994): 285–303. Broven, John. South to Louisiana: The Music of the Cajun Bayous. Gretna, LA: Pelican Publishing Company, 1983. Minton, John. “Zydeco on CD.” Journal of American Folklore 111 (1998): 417–34. Savoy, Ann Allen, ed. Cajun Music: A Reflection of a People. Eunice, LA: Bluebird Press, 1985. Tisserand, Michael. The Kingdom of Zydeco. New York: Arcade Publishers, 1998. Zydeco! Photographs by Rick Olivier and text by Ben Sandmel. Jackson: University Press of Mississippi, 1999.